Here we have a unique construction design which harnesses the properties of both light weight steel and concrete but in a totally new way. The post and cross beams are designed, computer rolled and assembled to exact specification in the factory. 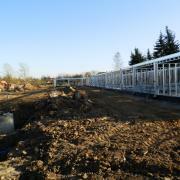 They are then erected on site in a matter of hours once the footings have been poured. Once assembled the entire box profile structure is filled with concrete and allowed to harden. 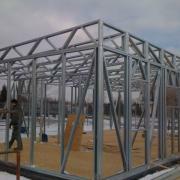 Once solid this forms an extremely strong casement structure with spans up to 6.5m and eaves heights up to 5m. The resultant layout of the posts and floors is ideal for office, residential and retail facilities and is capable of construction up to 5 floors. 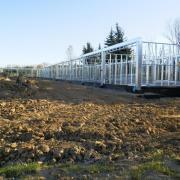 All internal and external walls can be fitted using the light weight steel sections. The external facade can be fitted using the cold rolled steel which is compatible with all the latest cladding systems or Styrafoam and acrylic in the same way as for residential construction. The inside surfaces are easily line with Multipanel or Polypanel to provide clean, functional surfaces. 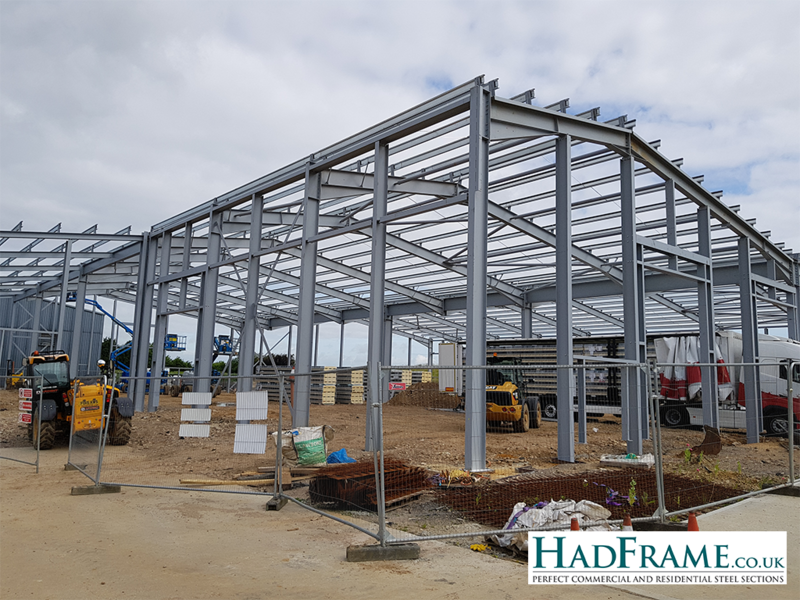 Commercial warehouses and factories up to 30m spans and as long as required can be constructed using cold rolled steel section from HADFRAME. 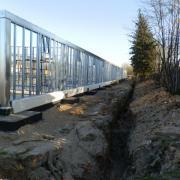 These buildings are lighter, stronger, and quicker to build than any existing structure. This also makes them much better value. 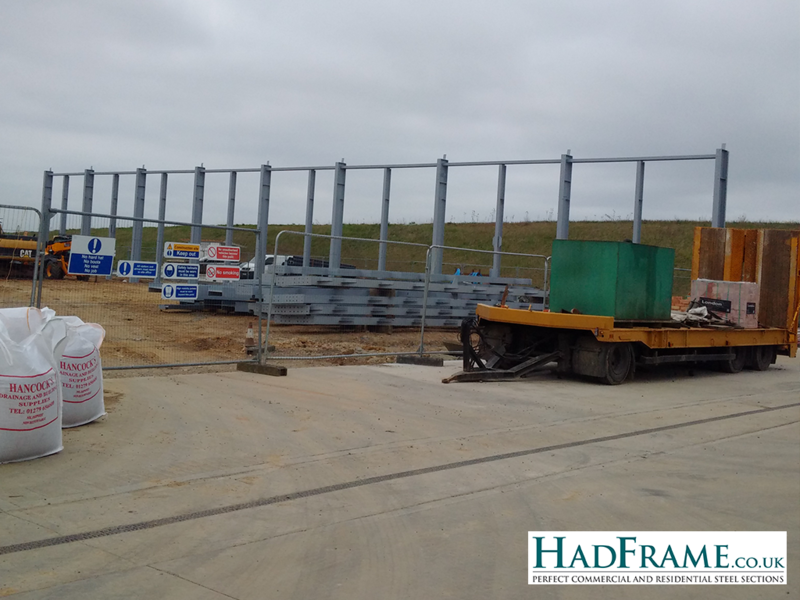 Space frame stanchions are erected from the concrete pad and bolted to the ground. Eaves heights up to 8m are common. A lattice beam with pitched or horizontal roof spans between the stanchions and lightweight steel purlins complete the structure. 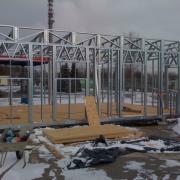 Single skin or composite panel plastisol coating completes the building. 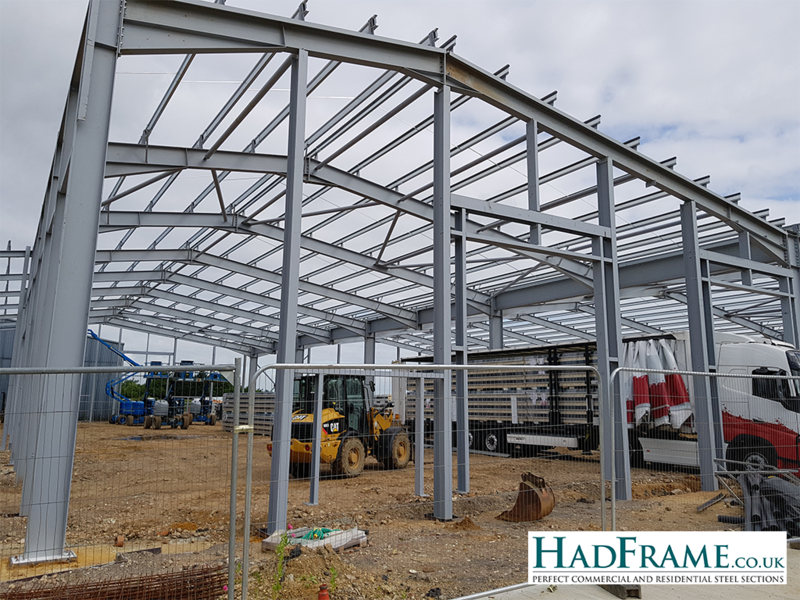 Please speak to us at Hadham Construction Ltd for all required materials, designs, personnel doors, insulated sectional overhead doors and full fit out.